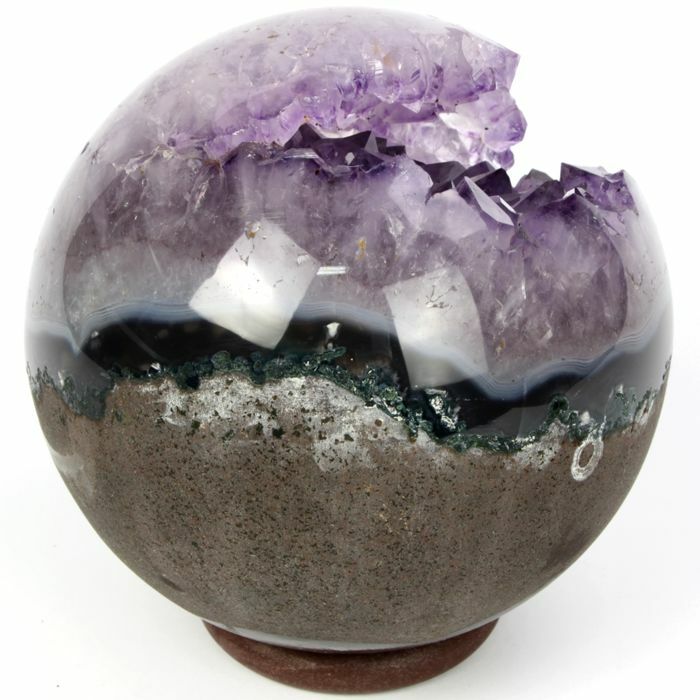 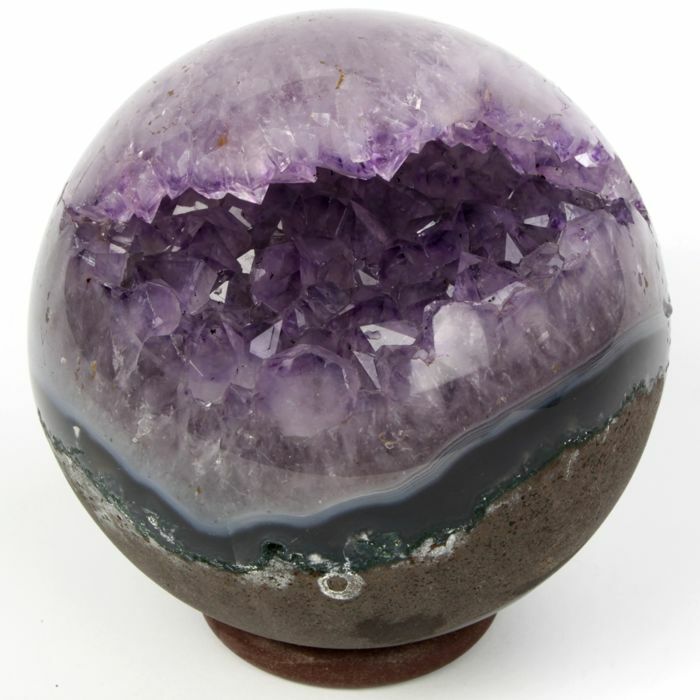 Here is a beautiful Amethyst sphere with a very distinctive form: the landscape of amethyst tips crosses it internally opening in a kind of smile. 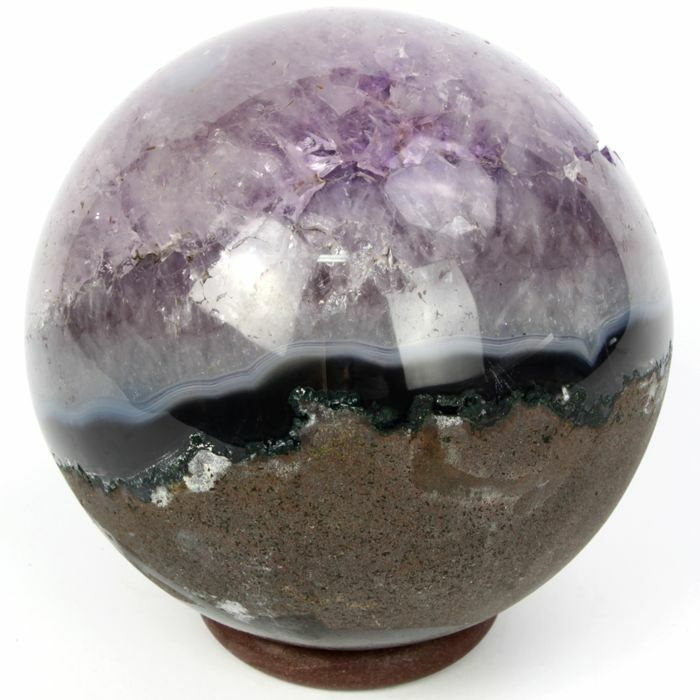 The main property of amethyst in crystal therapy is that it is a protective stone, and having it at home will not only help at the inner level, but it will be also a really nice piece of furniture to display. 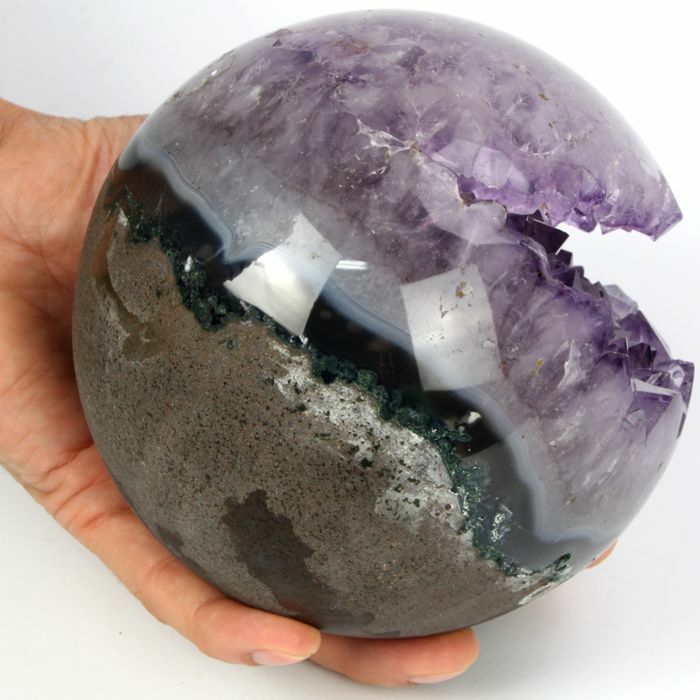 mineral was great and neat specimen. S&H seemed high for one piece. Vous pouvez également retirer ce lot chez le vendeur: Napoli (Na), Italie.